Many fine art museums around the world offer mobile apps, and most of them are free. They boast a variety of features, including virtual tours, visitor information, details about works of art, audio descriptions, and more. The Louvre app is a visual delight and features more than 600 of the museum's beloved masterpieces, such as the famous "Mona Lisa." For each work of art, the app offers close-up photographic details and a brief description. A 3D interior map also shows where the artwork is installed, thus making your museum visit a breeze. The photographs of the artwork and its details are visually stunning. 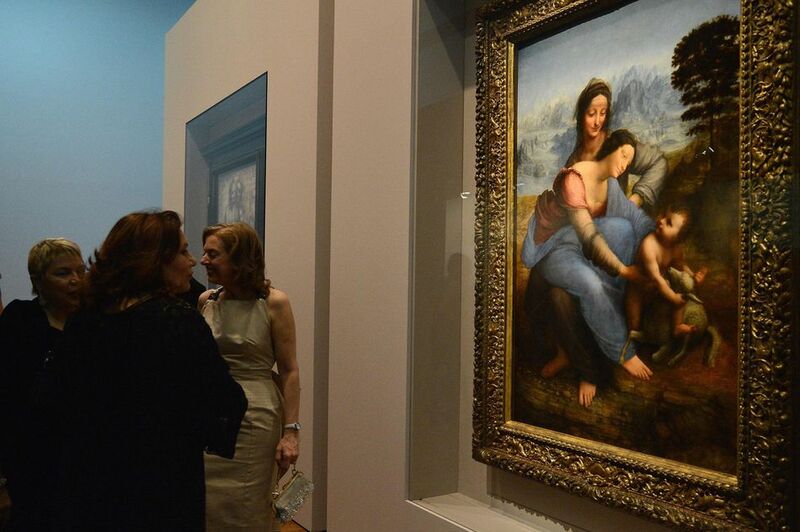 If you can choose only one museum app, the Louvre app is a must-have. You can download the Louvre app for iOS or Android devices for free, as well as make in-app purchases. The British Museum offers a mobile app called British Museum Guide that includes photos and descriptions of important works in its collection. Audio clips describe some of the Museum's key works such as the Rosetta Stone, the Parthenon Sculptures, the Mexican Mosaics and the Benin Bronzes. The app also provides an interactive map of the museum and a virtual tour of the museum's top galleries. As a bonus, it also highlights places to visit around the museum, making this app a useful tool for visiting London. You can download the free Lite version of the British Museum app for iOS or Android devices, as well as make in-app purchases. You can also purchase the British Museum Full Edition for $3.99 from Google Play or the App store, or you can upgrade to it through the Lite version. The State Hermitage Museum app will give you a virtual sense of being inside the museum and looking at the art in the individual galleries. The app provides virtual and thematic tours and educational courses. Highlights include in-depth info (both visual and text) about the artwork of da Vinci and Rembrandt. You can download the free Hermitage Museum app for iOS devices, but it's not available for Androids. The Uffizi Gallery app will take you on a virtual tour of its famous halls. The app also highlights the collection's important works such as Giotto’s "Madonna Enthroned," Botticelli’s "Birth of Venus," Leonardo’s "Annunciation," Raphael’s "Madonna of the Goldfinch," and Caravaggio's "Medusa." You can download the Uffizi iPhone app for $1.99. It's not yet available for Android devices. The Rijksmuseum app provides high-resolution imagery of its classic art, including works by Vermeer and Rembrandt, as well as detailed information about them. It also offers tours for your visits to the museum, as well as virtual tours to let you visit from afar. Besides the Dutch Masters, the Museum's collection includes a wide variety of traditional and spiritual Asian art. You can download the Rijksmuseum app for iOS or Android devices at no cost. The Museum of Modern Art's MoMA Audio app gets rave reviews from users. The app offers audio insights from curators, artists, and experts on the museum's permanent collection and special exhibitions. It also offers detailed visual descriptions for visitors who are blind or partially sighted. You can download the free MoMA Audio app for iOS devices, but it's not available for Androids. The Getty360 app features information about all of the exhibitions and events at the Getty Center and Getty Villa. You can search for exhibitions and tours and add them to your calendar from the app, and you can also share them through social media. The app also provides information about visiting the two locations. You can download the free Getty360 app for iOS devices, but it's not offered for Androids.